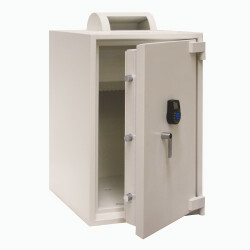 Insafe’s own UK based design and manufacturing facilities allows us to offer tailor-made specials of any type of safe. Here we can build a safe to meet your exact specifications from dimensions and deposit features, to glass shelving and high shine finishes. 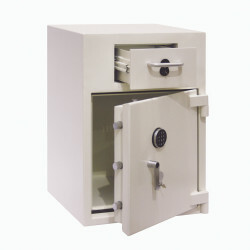 You can create totally bespoke safes. Our Product Development Team also have the ability to write software to adapt an electronic lock to meet your particular needs. 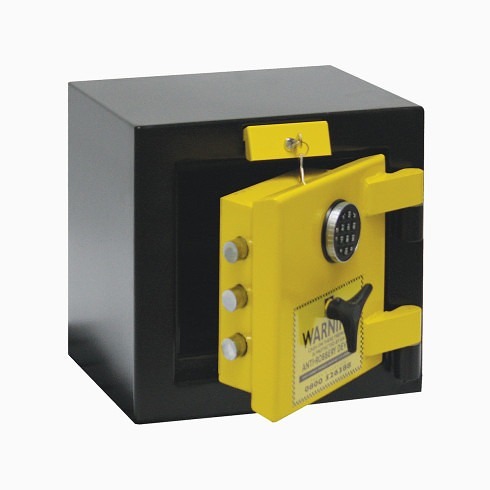 For example; in a high risk environment we were asked to create an anti-robbery safe which had bolt-work that automatically fired when the safe was closed. Furthermore, an additional deterrent of a time-delay electronic lock. This was then connected to an outsourced security company prevented it being re-opened immediately. Multi-user, intelligent time-delay, audit trail, programmable locking, bio-metric (fingerprint recognition) and more. And what’s more, a bespoke safe often costs less than you would think and be delivered faster than you’d expect… sometimes within just a few weeks! 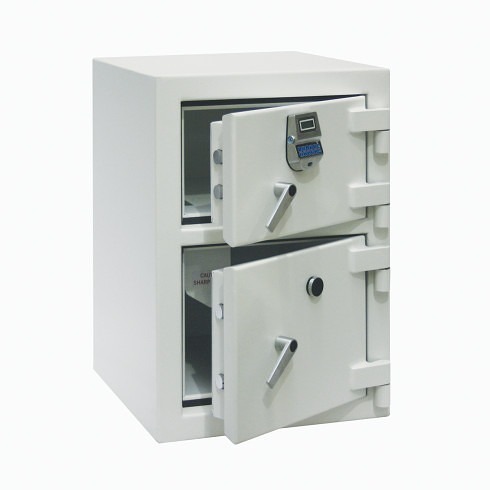 Our EuroGraded safes can be fitted with deposit features, internal cupboards, air tubes, CIT features, time delay locks, audit trail locks and internet remote control locks. The EuroGrade safes can be built to incorporate certified EuroGrade deposit features to retain the insurance recommended cover. This will be important to customers requiring a higher protection for larger sums of cash. Working from our design facility in Tunbridge Wells and factory in Wolverhampton we will take on the most challenging project. 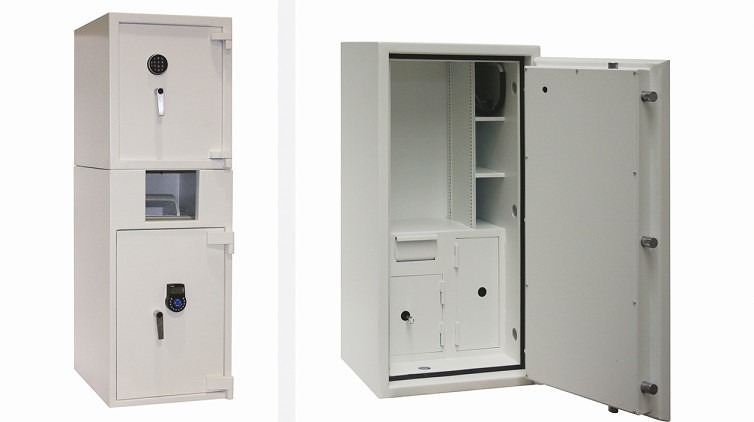 Our aim is to design, engineer and deliver your bespoke safe or safes quickly whilst maintain our exacting standards. No project is too difficult! 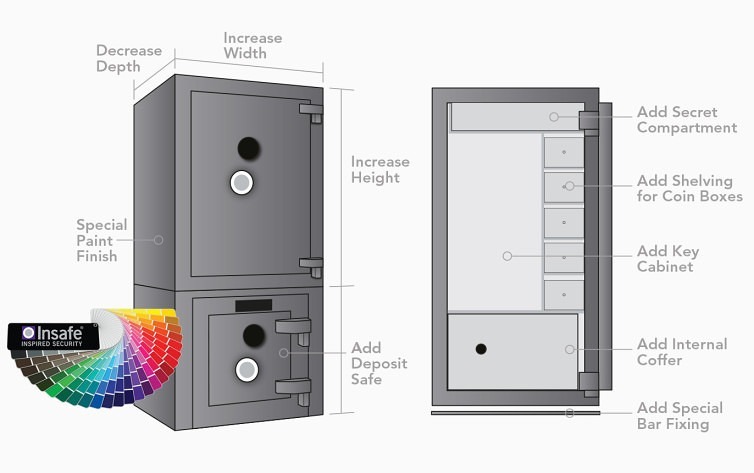 We can design your bespoke safe with unusual dimensions, internal shelving, extra internal safes with additional programmable electronic locks, internal coffers and plenty of extra features to suit your business requirements. If your company has various business premises that require tailor-made bespoke safes we can create you a business safe to match your company’s branding. Simply supply your colour, logo, sizes and special features to our sales director. The possibilities are endless with our bespoke safes.